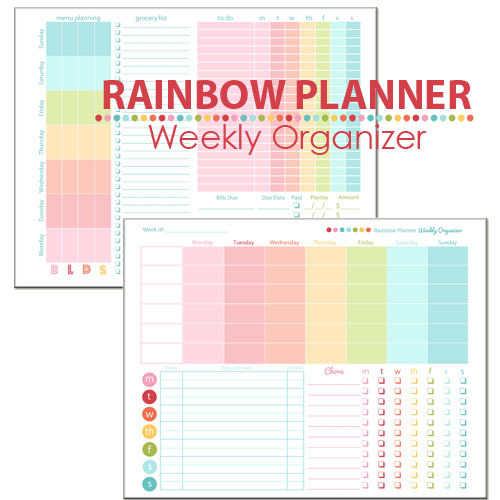 Now available in the ABFOL Shop, is the Rainbow Planner “Weekly Organizer”. 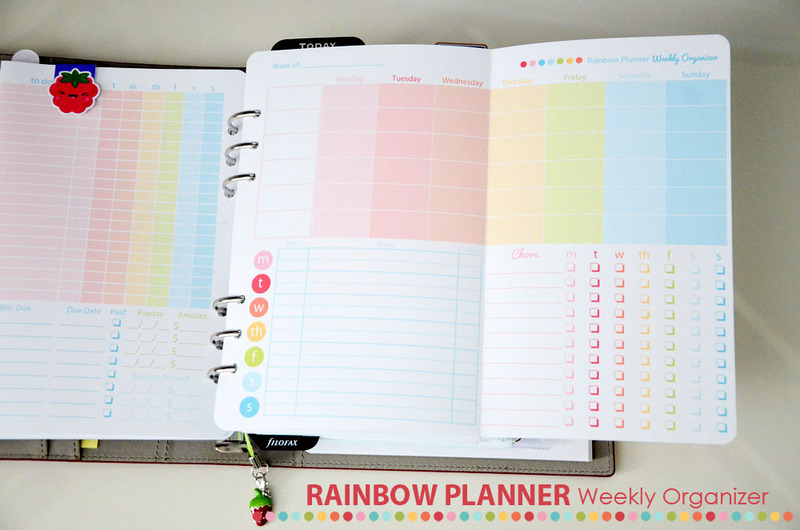 Coordinating perfectly with all of the Rainbow Planner pages, this Organizer is your “all in one” go to weekly planner. Keep track of your entire week on a 2 page (front and back) spread for only $5.00. This weekly organizer is undated, so you can use it year after year. It fits 8.5×11 & 5.5×8.5 planners. It will also fit inside of an A5 (pictured below). Keep in mind, A5 paper is 0.25″ larger than this. It does NOT fit in a personal sized planner. Click HERE to see a video demonstration of the weekly spread in my planner.